Thanks to everyone for another super time at our latest Kids Day on February 18. Parents and kids had a blast, and were all a joy for our staff! Tammy’s Twisted Balloons was awesome as always, sparking imagination in the kids and adults. Upcoming Kids Days dates for 2019 are: Monday, June 24 Thursday, September 19 Monday, December 30 Hope to see you at each one! Thanks everyone for the great turn out for our latest Kids Day. We all had a blast, and loved having you! Tammy from Tammy’s Twisted Balloons was super, and the kids loved her. Hope to see you next time! Congratulations to Lily, our Trek bicycle winner! 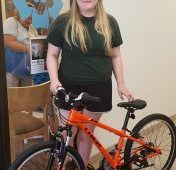 The winner of Eric Batterton DDS’s annual bike giveaway is… Lily! We’re happy for you, and hope to see you sporting around the Delaware City Bike Trail. Sincere thanks to all who participated, including Breakaway Cycling here in Delaware, Ohio. 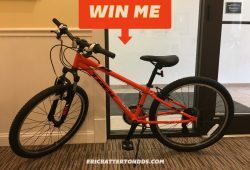 Try again next year in our 2019 bike giveaway! 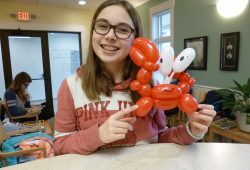 KIDS’ DAY is fast approaching at Dr. Batterton’s office in Delaware, Ohio! Join us for our very impressive balloon artist, the fun and sparkly temporary tattoos, and the beautiful face painting. 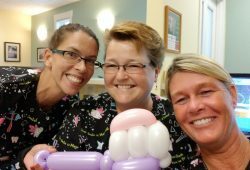 No appointment necessary to enjoy the fun, but if it’s time for your child’s teeth cleaning, call us at 740-363-9741 to schedule an appointment for this date. Look forward to seeing lots of you there! Thanks for the review, Becky! 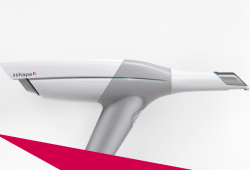 We love this dental robot joke by Swedish inventor Simone Giertz. Don’t try this at home!